Treat a special lady in your life. 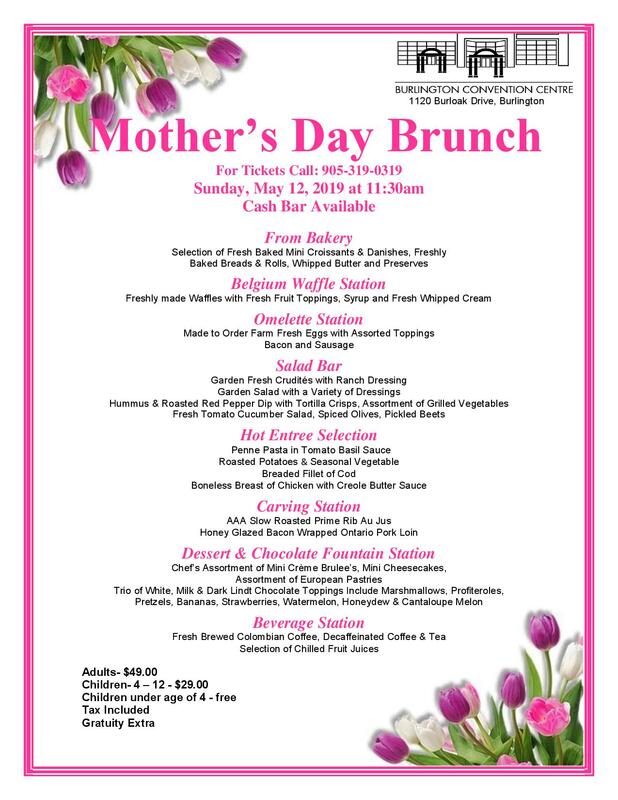 Join us for a fabulous Mother’s Day Brunch on Sunday, May 12, 2019 at 11:30 am, serving Burlington, Oakville, Milton and Hamilton regions. Our exquisite buffet will delight your entire family and friends. Have a look here at our menu and contact us to get your tickets today at 905-319- 0319.